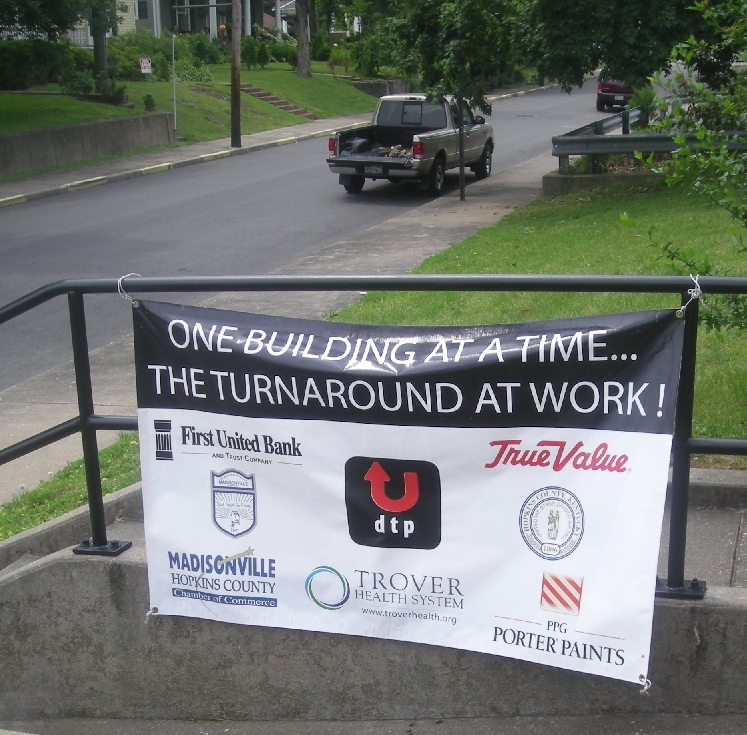 It’s a wonderful source for the history of Madisonville as remembered by its residence both here now and moved away. Check it out, its an addictive page on Facebook! June 9th Meeting… House & Garden Field Trip! 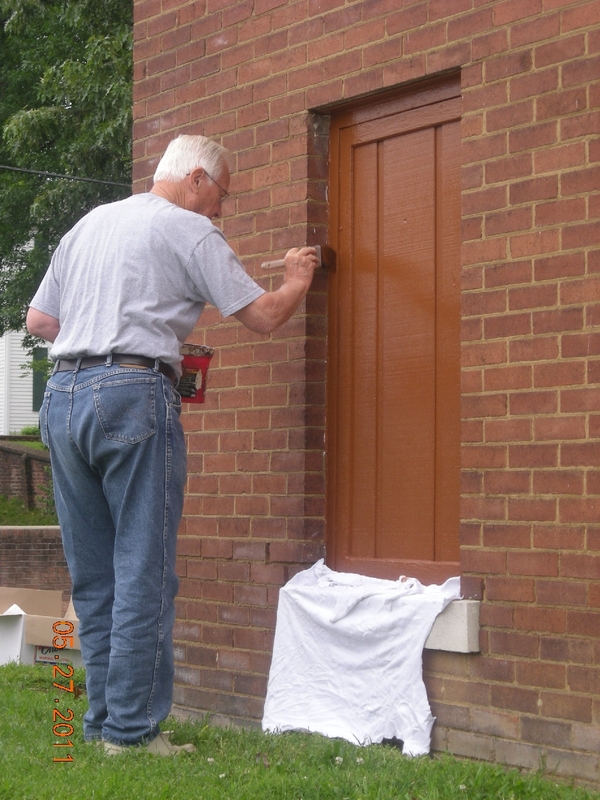 The THURSDAY June 9th meeting of the Historical Society of Hopkins County will include a field trip to the Larry and Rita McWilliams home in Earlington, KY.
Be at the Historical Society building on Union Street by 6 PM (an hour earlier than normal, so we can get back to Madisonville before nightfall)… as a quick business meeting will proceed carpooling to Earlington for a guided tour of the McWilliams historic home. Guest are invited… as we hope you will become a member of the Society! We look forward to seeing all our members and guest on Thursday JUNE 9th! 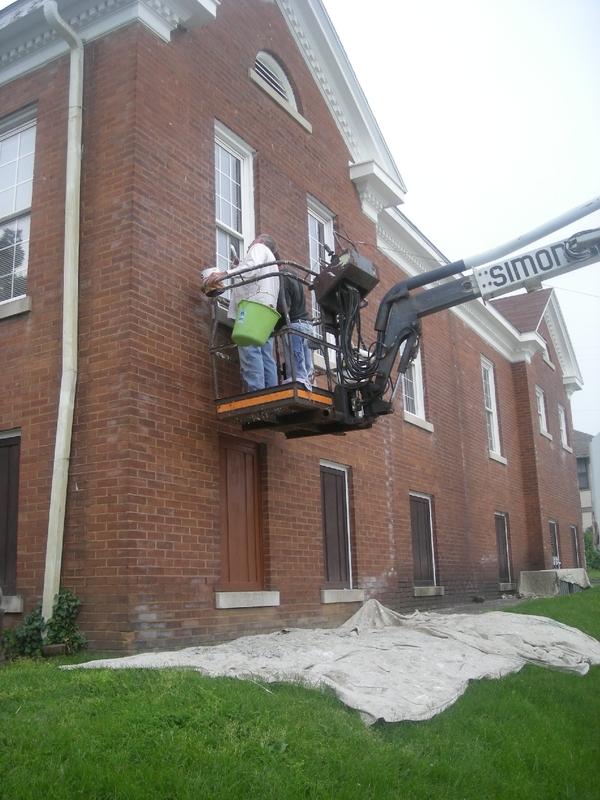 The Downtown Turnaround Project has helped give the Historical Society building a facelift for the Summer of 2011 with fresh paint on all the trimming and fixtures outside the Union Street location. 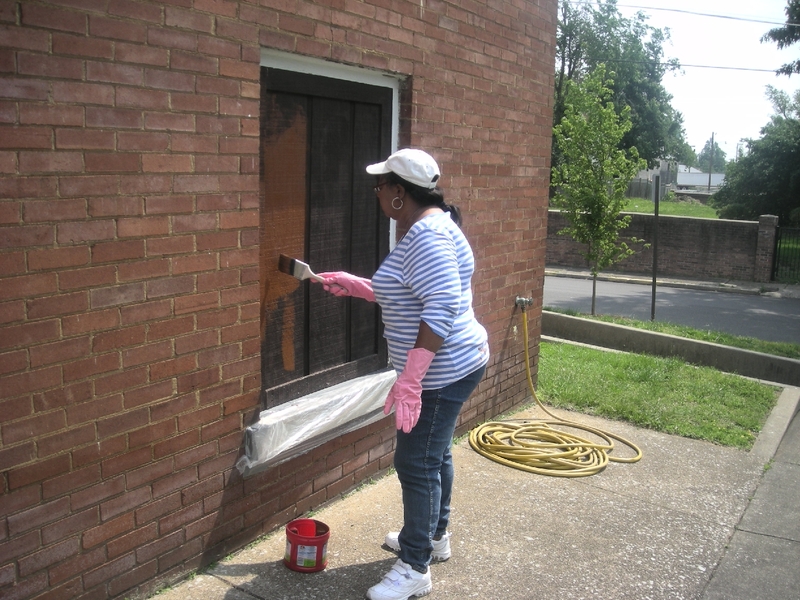 With volunteer help the outside of the building has a fresh new look! We invite everyone to come by and see the old girl all spruced up for summer and thank all the volunteer and the DTP for their dedication and help. In May at the Hopkins County Government Center a reception for Louise Utley was hosted by Hopkins County Judge Executive Donnie Carroll. The open house reception honored Louise for her years of service to Hopkins County and the Historical Society before her move to Owensboro. 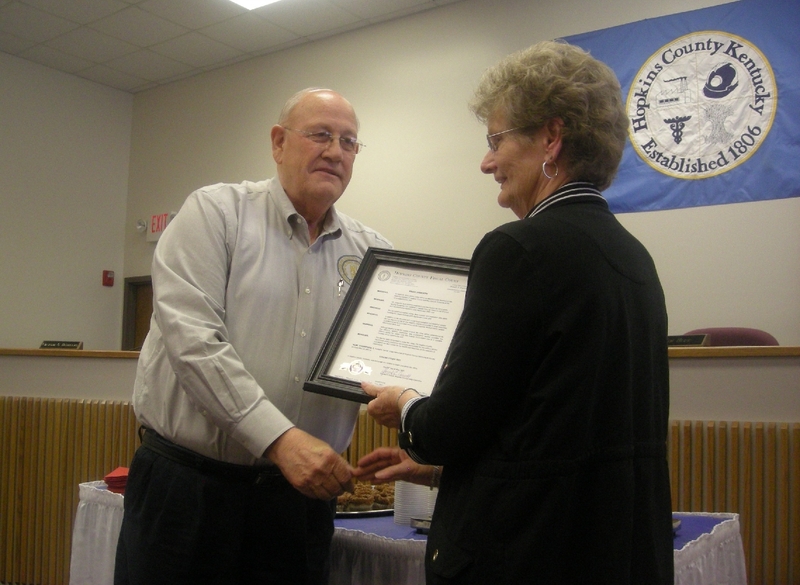 The Historical Society also honored her with a small gift and a big round of applause at her final meeting as Treasure of the Historical Society meeting in May.